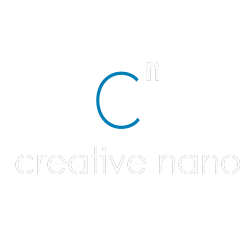 Cnano provides pilot / small batch production of innovative electroplated products, synthesis of advanced materials, measurement and characterisation of materials / surfaces as well as applied research services in all aspects where nanomaterials and nanotechnology are incorporated. - Cnano offers electroplating as a service as well as final electroplated products. At the same time, Cnano offers advising and know-how on plating processes that advance electrodeposition methods and coatings and result to innovative products. - Cnano’s electroplating line is specially designed for fabrication of nanocomposite coatings by pulse current electroplating method. Its capabilities include the development and implementation of metal, alloys and nano (composite) pulse plating processes. - Synthesis of nano-/micro structured semiconductors with enhanced photocatalytic properties. - Manufacturing of nano-/micro enabled materials with photocatalytic properties (paints, antimicrobial surfaces). - Fabrication of new generation solder pastes for miniaturised PCBs.